This isn't a caption, but I think Manmohan Singh is pretty awesome in his turban-wearing technocratic way. Are you enjoying the new Animal Collective as much as I am? 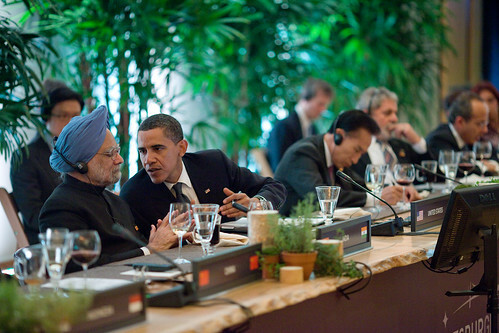 Dr. Manmohan Singh is thinking, "Just ignore the American. Just ignore the American.